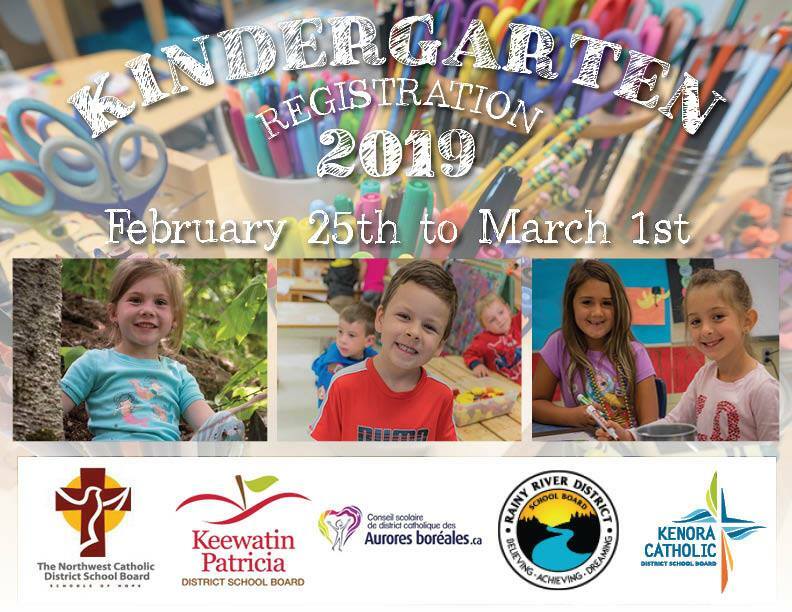 The school boards in Northwestern Ontario have teamed up to once again offer families a Regional Kindergarten Registration Week for 2019. During this special week, February 25th to March 1st, schools across the region will be hosting open house events and activities to support families with registering their child for school for September 2019. Open house dates and times will be announced on February 11, 2019. The school boards involved in the Regional Kindergarten Registration Week 2018 are the Keewatin‐Patricia District School Board, Conseil scholaire de district Catholique des Aurores boréales, the Kenora Catholic District School Board, the Rainy River District School Board and the Northwest Catholic District School Board.